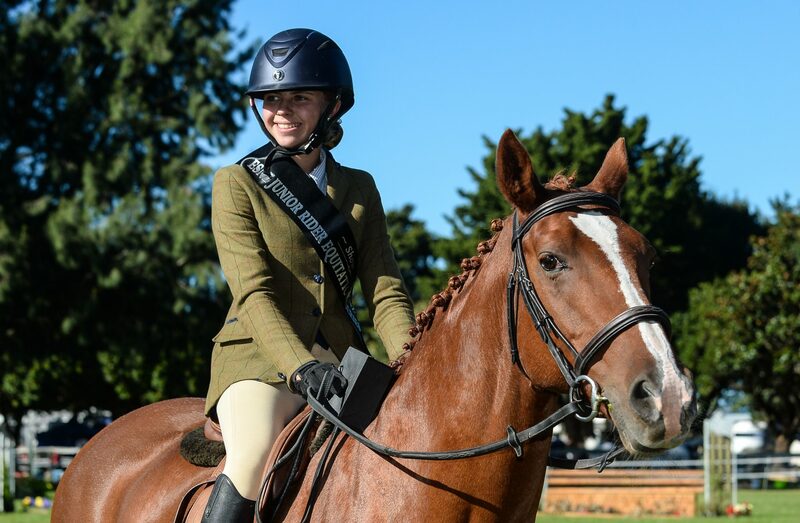 Oxford teen Georgia Allison is seeing her time on ponies out in style, taking out both the ESNZ Pony and Junior Equitation Series. She’s been chasing a show hunter series title for a while, managing top six for the past seven years so was over the moon to finally lay claim to not just one, but two. It was a very emotional win for both her and her mum Bridget, none the least because the pony is now for sale. But it didn’t all go smoothly when she and Pioneer High Jinx placed fourth in the final class at HOY. “I thought for a minute I had lost it,” she said. The ESNZ Pony Equitation Series came down to a two-horse race between Georgia and runner-up Chantelle Smith, who finished just two points adrift. Georgia and High Jinx were also second in the Aniwell Cat C High Points Series. High Jinx is better known as a grand prix showjumper and when Georgia first moved him to show hunter, she says she got plenty of sideways looks. He’s a real all-rounder too, doing eventing and dressage as well. It was aboard her twin Sophie’s 18-year-old hack Samari Lady that she took out the Junior Equitation Series. However, they were a late entry into HOY, a little worried about bringing the older mare on such a long trip. She and Samari Lady were also third in the Gyro Plastics Junior High Points Series. Georgia is the youngest of five children and has been around horses forever. Her mum is quick to add that her daughter is “a bit of a perfectionist”, so the discipline suits her well. ESNZ Pony Equitation Series: Georgia Allison 75 points 1, Chantelle Smith 73 2, Abe Baker 49 3, Victoria Mitchell 45 4. ESNZ Junior Equitation Series: Georgia Allison 77 points 1, Sally Ward 71 2, Georgia Beatson 38 3, Tristan Thomas 37 4.